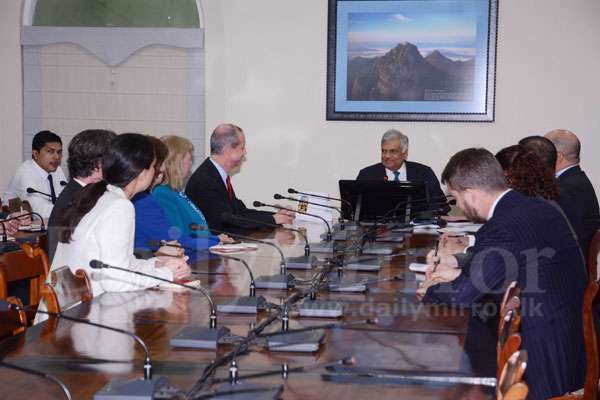 A delegation of US Congress met Prime Minister Ranil Wickremesinghe at Temple Trees today and engaged in bilateral discussions. 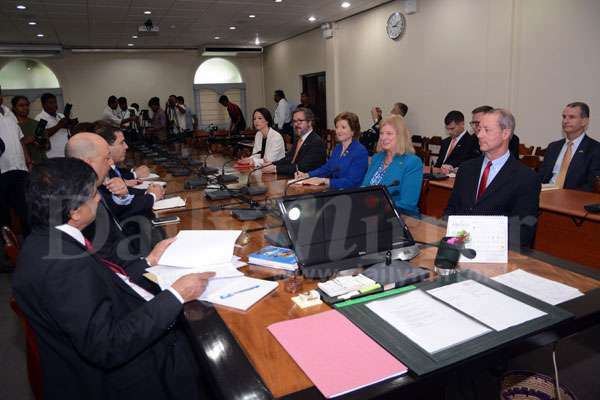 US Ambassador in Sri Lanka Atul Keshap also participated in the meeting. Tell them your spinel code problem.they might have some good hospitals there.